Jarkarta, Indonesia – The Hawaii National Guard and the Tentara Nasional Indonesia (Indonesian Armed Forces) recently hosted a joint staff planning exercise known as Gema Bhakti. The name of the exercise is derived from an Indonesian phrase “Gerakan Bersama Bhakti” meaning move jointly together. The phrase is concatenated to Gema Bhakti. 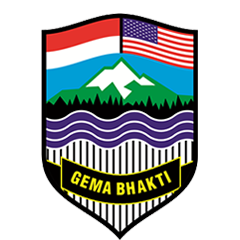 Gema Bhakti is a joint multi-national staff exercise where military staff from the U.S. Indo-Pacific Command and Indonesia work through a process known as the military decision making process. This process is a crucial step that involves the commander’s staff working with higher and lower commands to define the mission, its variables, the situation involved and how to measure mission effectiveness before a plan or order is produced. This is the 6th iteration of Gema Bhakti which is also a culminating event for three state partnership program subject matter expert exchanges held between the Hawaii National Guard and Tentara Nasional Indonesia through out 2018.